Updated Nov 15, 2018 - The mod has been updated to version 6 for compatibility with the version 1.47.49 (November 13, 2018) game patch. How many times have you sent your musician sim to the bar or park to showcase their latest hit single only to find when they get there that they left the guitar on the floor of the bathroom or some other stupid corner of the house? If you're like me, pretty much every time. OK, I admit it I sometimes don't stop to think! 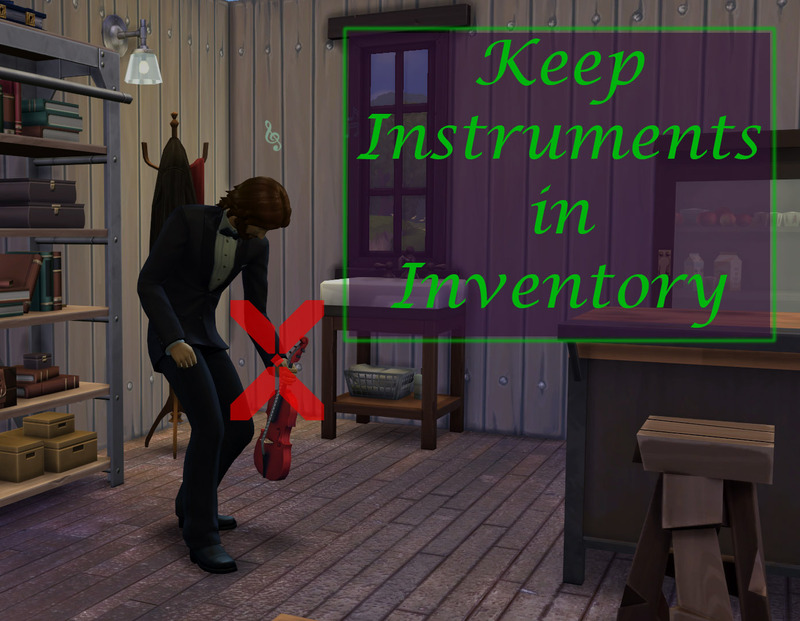 I had enough, so I wrote this mod for The Sims 4 to change the default action to putting an instrument in the sims inventory when they have finished playing. Now they'll always have their instrument handy no matter where they may roam. Unzip both files contained in the main zip file you downloaded into your Mods folder. You should end up with a package file named 'MTS_Scumbumbo_KeepInstrumentsInInventory' AND a zip file named 'MTS_Scumbumbo_KeepInstrumentsInInventory_Script' in the Mods folder. See the screenshotof a sample Mods folder if you need a reference. You'll have other CC and mods in there, but it's important that both files shown are in the Mods folder for this to work properly. 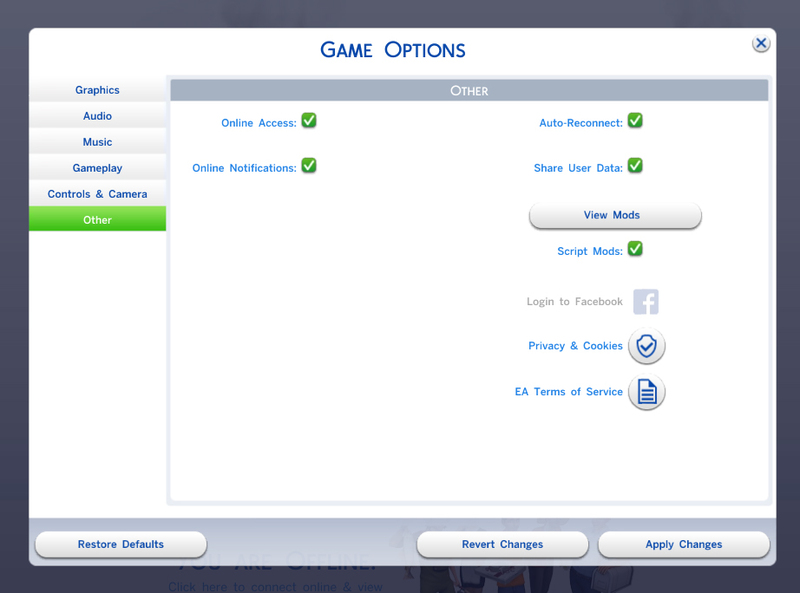 Without the script portion of the mod, visiting sims or sims on community lots can pick up instruments and steal them! This mod should be compatible with The Sims 4 version 1.47.49 or newer. This mod may conflict with any other mods that modify the strategy for putting down instruments or other objects. As this modifies the generic strategy for putting down any instrument, it should continue to work for any new instruments added to the game. The script portion of the mod replaces the _run_interaction_gen() function in the carry.put_down_interactions script, adding a test to make sure that if an instrument (or any other object) is used on another lot and the sim's household does not own that item, they will place it down instead. So basically, if they own the instrument, they can take it out of their inventory and when done they will put it back in their inventory. If they don't own the instrument, they can pick it up and play it, but will put it back down when finished. Download only one version of this mod - use version 2 only for games patched to February 2, 2015 patch or newer!